Trent is a great athlete, but after a stray hockey puck hit a kid in the chest and he died, nothing in Trent's life is going well. He's prone to angry outbursts and looks for confirmation that other people dislike and blame him - from his two brothers to his newly married father. His friendships at school aren't the same, he can't bring himself to join the baseball team, and it's preferable to get detention for class rudeness than have to meet his Dad for dinner. He might be able to get past others who look at him with suspicion, but only if he can stop feeling suspicious of himself. I loved this book. It's painful, and there are definitely moments when you are silently screaming at the character to make a different choice, but the writing is beautifully honest. It's a book worth the ride.
" 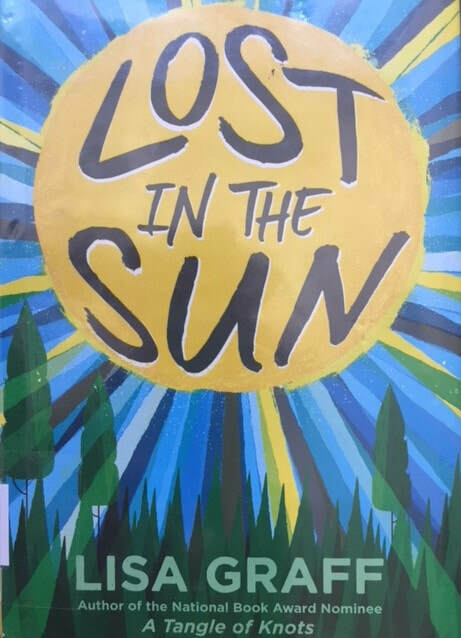 Lost in the Sun quote"